I have had an older model of this same Ridgid vacuum in my shop since the beginning. They were hardy, affordable, and had a lifetime guarantee. For a broke wanna be woodworker trying to build up my shop, that’s all I could ask for in a tool. I’ve still got that vacuum and it’s kept my shop clean and played dust collector like a champion for 7 years, and I couldn’t ask any more of a tool. So when it came time to test the Ridgid 16 Gallon 6.5 HP vacuum for this review, I was pretty well versed with what I’d be getting, a great tool for a great value. This thing boasts the best CFM in it’s class. The new nozzle clips keep the hose and attachments from detaching unexpectedly, which is a brilliant answer to one of my biggest frustrations when cleaning the shop. At 16 gallons, this is still technically a “portable” tool, but if I was regularly moving it around the jobsite, and not just pulling it around my smooth concrete shop floor, I might be inclined to get a smaller model. As is the case with most shop vacuums, this model has a blower, but I never use the blower (on purpose at least, there was one unfortunate incident where I had the hoses hooked up wrong and accidentally blew dust all over the shop I’d just spent two hours meticulously cleaning… we will just attribute that incident to an extreme lack of sleep). The one thing I don’t love about this tool is it’s cloth storage pouch. It does hold all the attachments, but I think it looks kind of sloppy and, it being cloth, it collects dirt and dust just like you might expect a cloth bag on top of a dust and trash receptacle would. Another feature I would really, really like on a shop vacuum would be an automatic cord reel. The wrap provided works, but isn’t my favorite design. Another thing I would really love to see less of on this tool is plastic. That said, I also understand the manufacturing process, and alternative construction materials would increase the cost of the unit significantly. This vacuum retails for $159. Would I buy it? Absolutely, I have been using a similar Ridgid vac in my shop for 7 years. What about the Dustopper attachment? Retailing for $40, the Dustopper is Home Depot’s answer to the Dust Deputy, which retails for $50. I have both, and both are good products. I wouldn’t use either on my every day vacuum that I drag around the shop while I clean because they are cumbersome and the Dustopper bucket tends to tip over a lot, but on a stationary tool hooked up to the vacuum, they are MAJOR filter savers. When the Dustopper is attached, the majority of the dust and debris falls directly into the 5 gallon bucket beneath it, and very little material goes into the vacuum. I use it most on my chopsaw and oscillating spindle sander because those fine particulates are enemy No. 1 of my vacuum filters. Without an auxillary product, all that fine dust clogs the filter and the vacuum loses CFM really quickly. The thing I like most about the dustopper is it’s low profile. It fits under my chop saw like a glove. I actually bought the dust deputy to live under that cabinet, but it didn’t fit, so I was really glad to find another option that worked. Posted on October 26, 2018 by Anne Briggs and filed under Tool Reviews. I am a huge fan of this tool’s little brother, the GLM 42 135 ft Laser Measure, and I reviewed it in July (click here to read it). This model, the GLM 50, costs an extra $20, retailing for $119. It offers an additional 30’ of accurate measurements (165’ digital tape) and Bluetooth capability so you can use the tool in conjunction with your cell phone on the Bosch Measure app, giving you greater storage capacity and versatility using this tool. Those are the only two differences between this tool and the GLM 42, so this review will be pretty short, as I’ve sung the GLM 42’s praises quite loudly here before. Probably the coolest feature that comes with the Bluetooth capabilities of this tool is the ability to overlay your digital measurements onto photos. For a visual person like myself, that is a really awesome concept. That said though, I’m not super tech savvy and the app is a tad cumbersome to use. I really like the GLM 42, and if it were up to me I’d just buy a GLM 42 and save my extra $20. If you’re keen on gadgets and cool features though, and are patient enough to learn and work with the app, the cool factor on this tool is extremely high. The GLM app allows you to create floor plans from within the app. You can do real-time measurements, tack those to photos of the space, and you get an increased storage capacity by integrating with the app. The tool will calculate length, area, volume, and can measure/calculate angles and perform addition and subtraction calculations. Posted on October 25, 2018 by Anne Briggs and filed under Tool Reviews. Finally, a Fantastic Battery Powered Router! Ever since I first used this tool in a Makita booth at a show last year, I knew I had to have it. I actually really don’t use routers very often in my woodshop, something that I didn’t think was weird until I started hanging out with other woodworkers who do. I’ve always been annoyed by their high pitched squeal and the huge mess they make. But the release of a battery powered tool I can use outside? Game changer. First of all, I’ve had the majority of my tools on the Makita platform for most of the past seven years. While I have recently been wooed by some of the new releases from Milwaukee, Makita has been making tools that are a solid investment for far longer than I’ve been using tools. This cordless router is no exception. It is compact and lightweight. The blade housing/fence mechanism is easy to adjust and remove for quick blade changes. 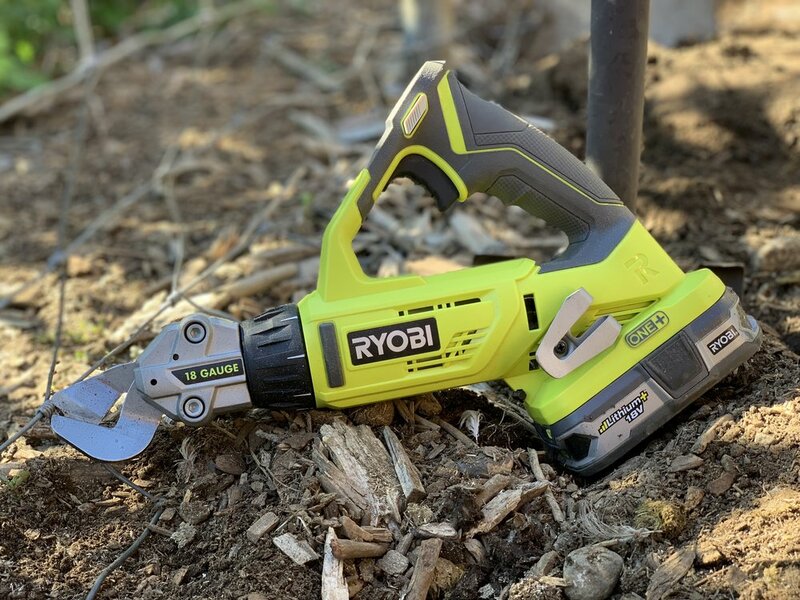 It’s not going to have the same battery life as, say, a drill, even the 4ah batteries, but that is not really a surprise, especially considering what kind of power it takes to actually cut wood. The saving grace is the fact that this tool runs on brushless motor, which is electrically controlled from within to meet changing demands with regard to torque and speed. Run time will depend on the type of wood, the type of bit, and the depth of cut. Makita’s new batteries also have juice gauges on the actual battery, so you can monitor your battery useage easily. A quick aside on the batteries- that life-indicator is amazing. I can’t even tell you how many times I’ve carried a handful of batteries out to the jobsite only to stick them in my tool and realize they were dead. It’s a long, frustrating walk back from the forest or the pasture when I do that, so I really, really dig the new indicator feature. There are only a couple buttons on this tool. There’s a dial to control the speed and a lock/unlock safety switch to turn it on. It has been a little tricky getting used to the button placement, especially since they are so small, but I’m sure that will come in time. If there was one design feature I would love, it would be to have a spot on the tool that the wrenches could tuck into. On my corded routers, I always attach the wrenches to the end of the cord and then I never lose them. On a cordless router, no such luck. This tool retails for $130. Would I buy it? Though a few other companies have made cordless routers, Makita was the first company making tools for the professional to come out with a true knockout tool. At $130, I’d say it’s a reasonably priced router, and I would definitely buy it. That said, if you were new to the Makita platform, the addition of the battery and charger at $149 would make this a much tougher pill to swallow- I might actually think twice about dragging out the extension cords and waiting for a brushless, cordless tool on your battery platform. Batteries always seem to be the major killer when it comes to tool pricing, which is the main argument for picking one tool company and sticking with it. Not to mention, it’s a pain juggling 10 different chargers and their cords. I don’t take it lightly that this tool testing gig affords me the opportunity to use so many different tools and brand platforms, because it’s taught me so much about how tools actually work and it’s taught me to become a far more discerning customer. It also allows me to really use and abuse the tools and pick my favorites. I can only hope that that translates well into honest, helpful reviews for readers. This Makita router is definitely one of my favorite tools I’ve used this year. The fact that Makita has such a diverse product line is also a big argument to love the company- their battery operated chainsaw and lightweight circular saw get used on the daily around the farm. Ok, let’s talk about this oscillating tool and it’s attachments. I tested the Multi-Max itself, $129, the Universal Oscillating Tool Accessory kit for Wood, Metal and Drywall, $29.97 and the Cutting and Variety Accessory kit for Wood, Metal and Drywall, $29.97. -There is significantly less vibration of the tool when in use. -Lighting fast blade changes with no extra tools. -The locking mechanism on the head of the tool is easy to use and doesn’t accidentally come loose, a huge plus with the safety conscious. -The kit comes with pretty much everything you’d need for the first few projects you’d tackle with the tool. -The fact that you can reposition the blade at an angle to get into tight spots is also a major bonus. -The tool is lightweight, comfortable to hold and to use, the ergonomics are solid. While this tool is a breeze to use, there are a few things only longterm use will prove- I wonder how the blade locking mechanism I like so much will handle getting gunked up from prolonged use around the jobsite (read, what happens when the donkeys kick a whole pile of woodchips and manure on it while they casually walk by?) My other main concern is with the accessories for the tool. While the tool itself is fairly affordable, the Dremel branded attachments are somewhat less budget friendly, but they are also performing better than some of the competitors’ attachments, so it may all be a wash. As it is, I just so happened to be doing a ton of renovation and construction projects this quarter, so this tool saw some heavy use in my metal shop project as well as the chicken coop project. It got dirty it got slightly abused, and it’s performed incredibly well despite it all. It’s quieter, vibrates less than the two other tools I’ve been using the last few years and blade changes are a breeze- this tool is a real win for Dremel. Posted on October 23, 2018 by Anne Briggs and filed under Tool Reviews. My first order of business with this and every product review is a disclaimer: I am not a professional mechanic. I am a farmer and a fine furniture maker. When it comes to working on cars, construction, framing, electrical and home renovation, I’m a DIYer and weekend warrior. My goal in reviewing tools and products is to provide honest feedback based on my own use and experience with these tools to other regular folks like me- wanting to get their hands dirty, try new things, and get the best value for their hard earned dollars. Organization has always been a huge struggle for me. Part of my creative process involves a major explosion of all the tools and supplies I own. Logically speaking, I know that cleanliness and organization are the keys to productivity and efficiency, but somehow, despite my best intentions, I’m a tornado in my own space. One way to stave of the hurricane, however, is to make sure everything has it’s place. This bench is a real winner. It looks sleek, it’s got a solid base, and it provides an enormous amount of storage, which, for me at least, was a huge step in the right direction. This bench retails for $309. Would I buy it? If you’ve got stacks of tools and supplies clogging up your workspace, you owe it to yourself to get organized. If adding more drawer space and another work surface can help you get there, you’d be hard pressed to find a better bench at this price point. Posted on October 4, 2018 by Anne Briggs and filed under Tool Reviews.